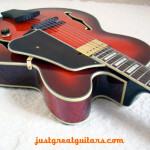 Classic thinline Gibson electric – P-90s & stunning cherry finish. 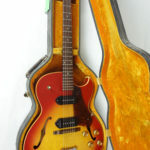 Dating from 1963, this guitar is in fine condition throughout, and it’s neck profile is particularly desirable amongst players and collectors. 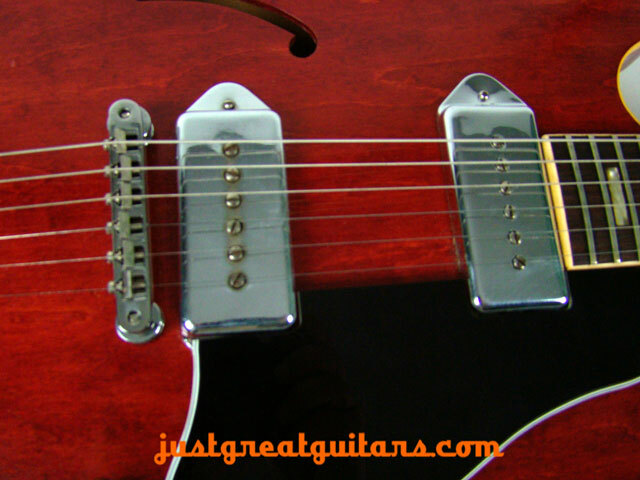 The fingerboard feels fast and very comfortable to play with no buzzing or intonation issues. 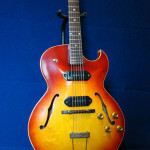 The sound from the twin P-90’s is just glorious and will certainly bring out the expressive soloist in you as the tone is very vocal in quality. 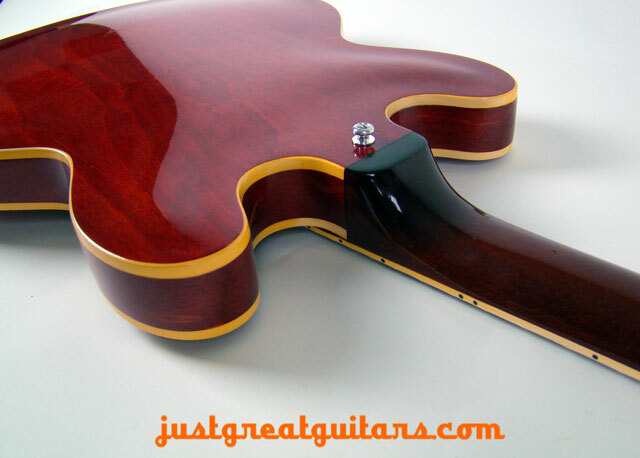 Stunning instrument. 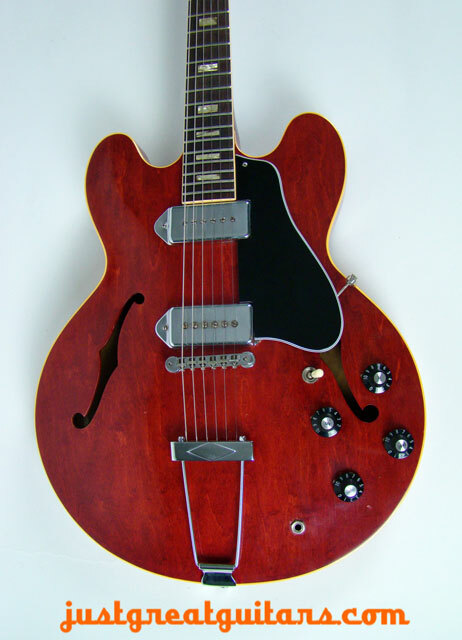 The principal difference between the Gibson ES-330 and the ES-335 is the absence of the solid center block and the use of twin P-90 single coil pickups rather than the humbuckers employed on the ES-335. 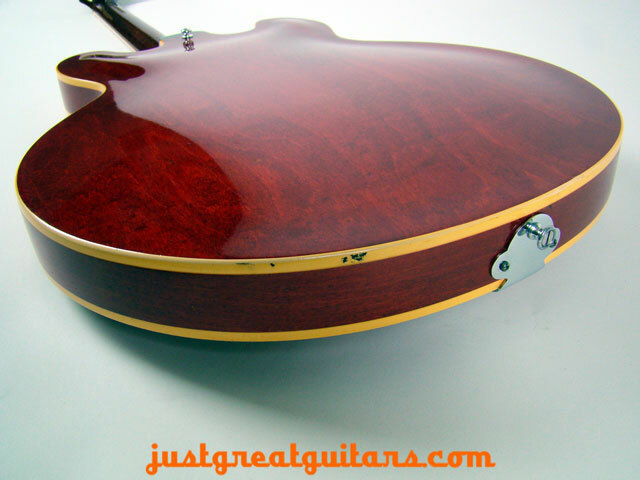 This cherry finished guitar is a delight to play (as well as view) with its double cutaway design and pleasantly light overall weight. 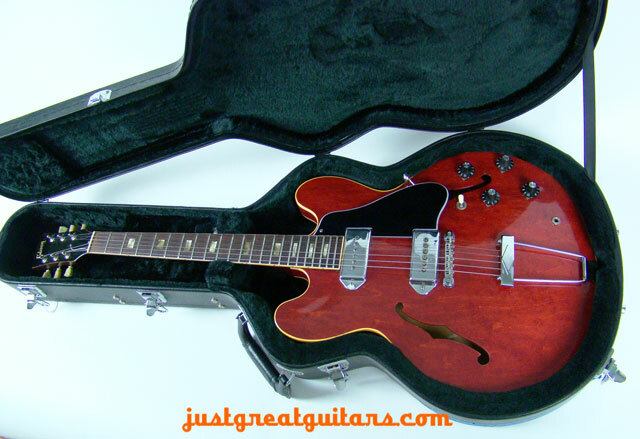 The craftsmanship is very high indeed and you can easily see why players as diverse as Grant Green and Martin Barre (Jethro Tull) have favoured this model of Gibson thinline. 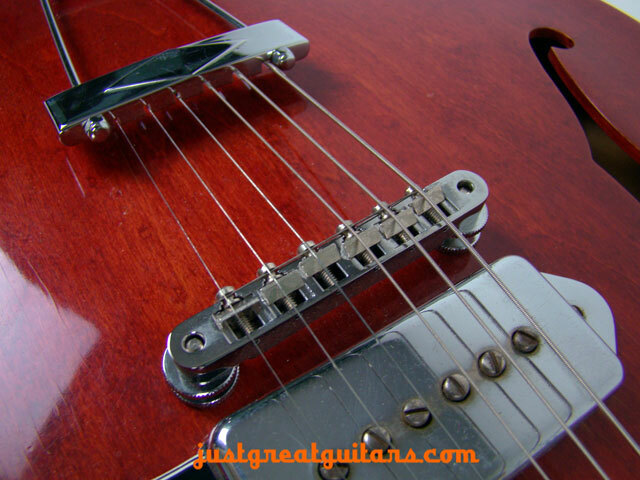 There is considerable sonic versatility on tap from the twin P-90 pickups, ranging from really pristine & clear jazz tones through to piercing blues and funk especially from the bridge pickup. 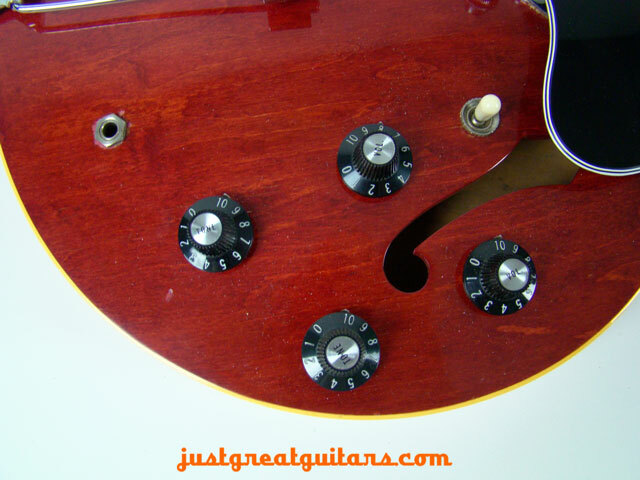 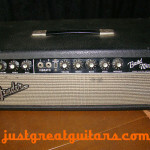 Wind your amp up or add some overdrive via a pedal and this guitar just howls with a glorious blues/rock tone that is quite unrivaled in clarity and projection. 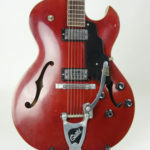 Dating from 1963, this guitar is in very good condition throughout, with just a few ‘road knocks’ and it’s hard to believe that the instrument is over 50 years old as the finish especially looks as good as the day it was made. 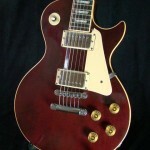 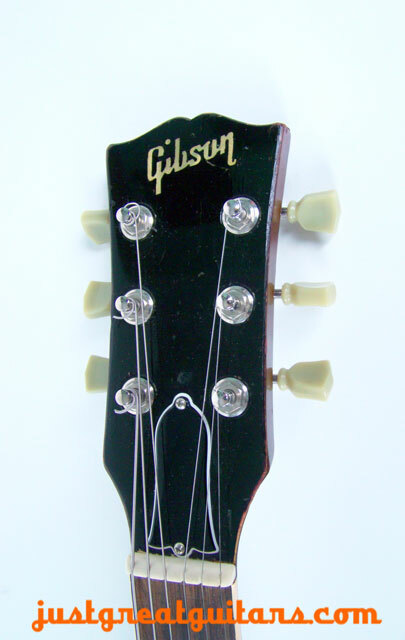 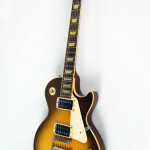 This guitar has been upgraded with later (60’s) pickups, tuners and control knobs when the original owner decided to take advantage of newer parts and chrome fitments from Gibson. 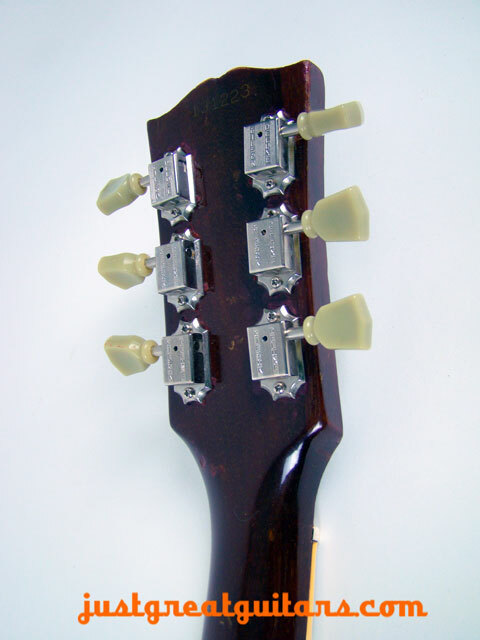 The neck is fast and very comfortable to play with no buzzing or intonation issues. 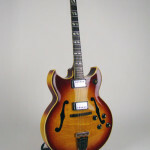 The sound from the twin P-90’s is just glorious and will certainly bring out the expressive soloist in you as the tone is very vocal in quality. 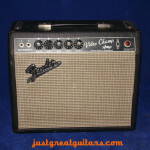 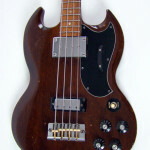 It is supplied with a modern hard lined case. 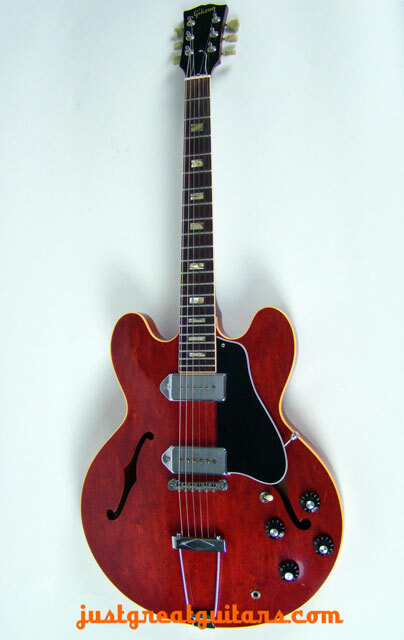 ES-330’s are very versatile and expressive instruments and this guitar delivers everything you could possibly want from a high quality thinline Gibson. 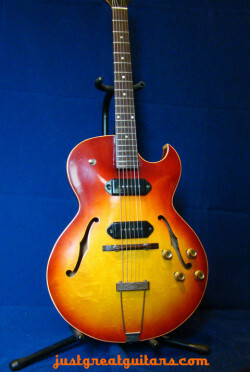 The fact that it also looks incredible and has aged like a fine wine just makes it even more desirable.